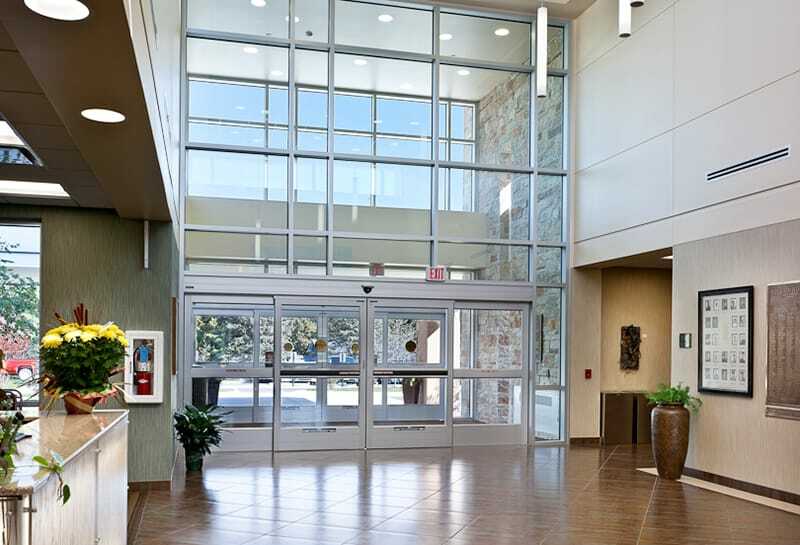 Gilbane provided construction management at-risk services, including MEFP trade coordination through building information modeling and managed the architectural selection process for Edgerton Hospital and Health Service’s new critical access hospital. 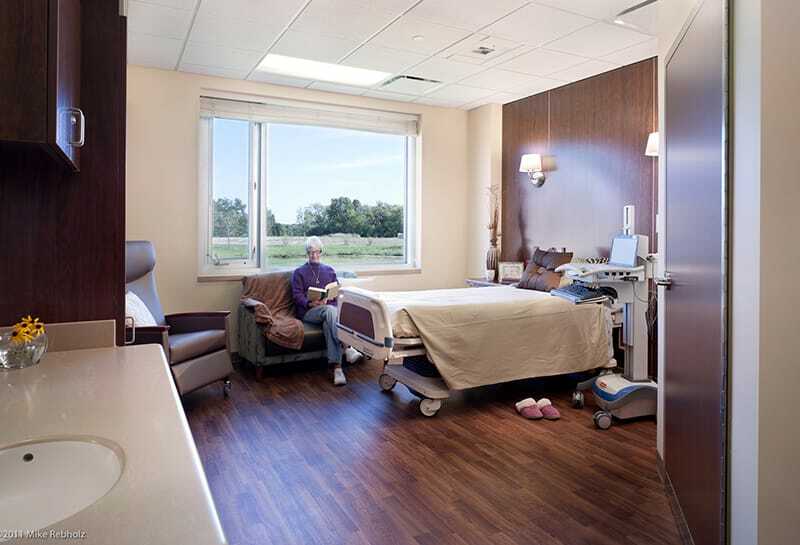 This 16-bed hospital was constructed on a rural, 70-acre site. The hospital consists of an emergency department, imaging, surgery, laboratory, clinics/urgent care, inpatient/outpatient rehabilitation therapy services, cardiac rehabilitation, and inpatient units. The hospital is also home to several support services including dietary, health information management, administration, human resources, conference rooms, materials management, housekeeping, and facilities maintenance. It was a goal of the entire team to design and construct a highly efficient, maintenance-friendly HVAC system that would offer the benefits of newer technologies, providing comfort and safety to the occupants. This was achieved by using a geothermal system to produce all the heating and cooling in the building with no supplemental sources, allowing the hospital to use up to 40% less energy than comparable hospitals. The system consists of a series of 300 wells drilled nearly 200 feet below the surface. The ER and OR are served by two rooftop air handling units supplied with hot and chilled water, from the water to water heat pump plant. The rest of the building is served by water to air heat pumps with dedicated outside air systems that allow zone-level control, satisfying the diverse levels of climate control needs within the hospital. Additional sustainable elements included: occupancy/photocell controls, LED lighting, natural daylighting, white TPO roofing, flooring and ceilings materials containing 80% recycled materials and low VOCs and 50 percent waste diversion. In order to meet schedule milestones of 470 calendar days, the project team worked closely with the owner and design team to ensure any issues were resolved in a timely manner so as not to impact the schedule. The project team also employed a Target and Living Cost Model process throughout preconstruction. This process yielded a Guaranteed Maximum Price in alignment with the initial target cost. To minimize overhead and markup by trade contractors, Gilbane segregated the buy-out process into 35 highly detailed bid packages. 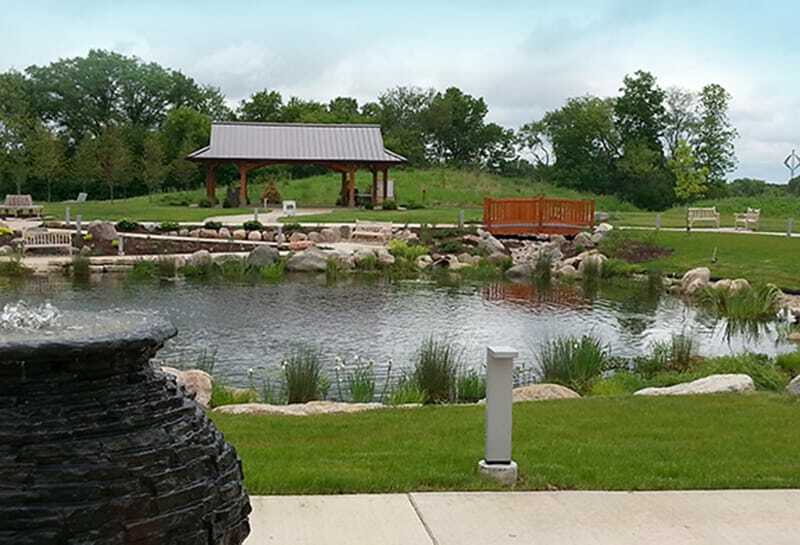 Ultimately, this process yielded savings more than $1 million for Edgerton. During the preconstruction phase, the project experienced a delay due to the HUD 242 funding process. Gilbane worked collaboratively with the owner and trade contractors to hold the Guaranteed Maximum Price and project schedule commitments.